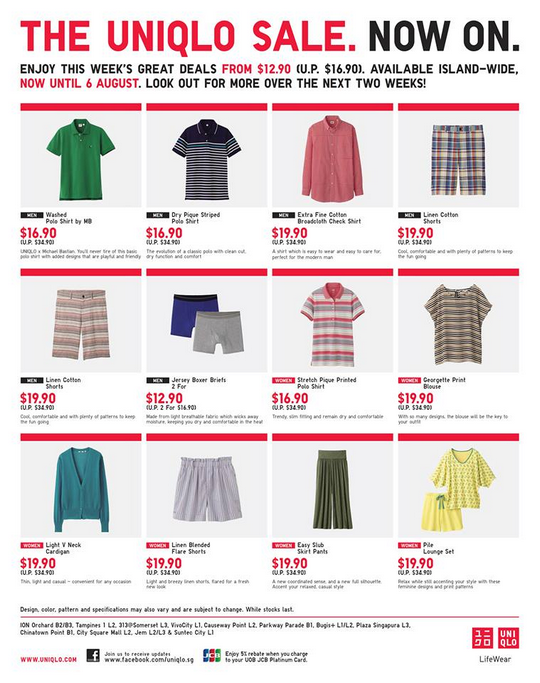 The UNIQLO Sale is now on. Enjoy a variety of our top selling products such as Polo Shirts, Shorts and Pants at a special price from $12.90 (UP$16.90)! Valid till 6 August 2013.